In today’s financial world, investors do their due diligence when researching where to invest their money. With so many concerned of losing, institutions are taking every opportunity to portray a stable, trustworthy presence. United Sign’s reputable list of financial customers have learned that our methodology and approach leads to equitable, established signage that lasts through both the bear and bull markets. Institutions know every detail is important. Marble floors, high ceilings, sharp-dressed customer service employees, every detail is sculpted to present the best possible image to customers. Financial signage follows the same principals. United Signs creates signage that reflects an institution’s culture. We make sure their signs become an extension of their identity. 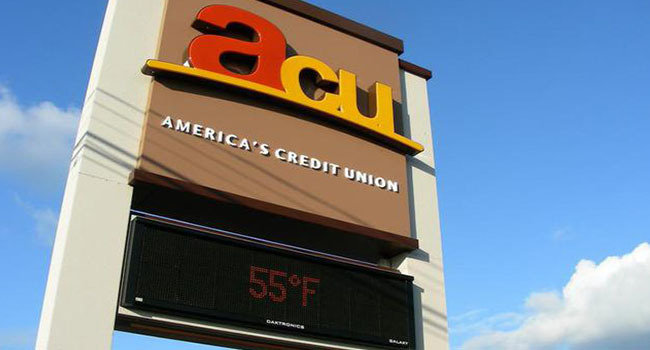 At United Signs, we know financial signage is as important as a well worn suit. It’s simple: nobody invests their hard-earn money in places they don’t trust. Why would anyone expect them to? They wouldn’t. Signage that reflects a financial institution’s history, experience and success is signage that helps convey the integrity & trust customers need before they invest. United Signs analyzes an institution’s brand to make sure that customers feel a sense of security from the moment they see the sign outside to the second they see the welcome sign in the front lobby. And that is a financial sign worth investing in.